← Alohomora! J.K. Rowling’s NEW Movie ‘Fantastic Beasts and Where to Find Them’ Release Date REVEALED! Brits Shine at Cannes Film Festival! Mike Leigh‘s first film in four years is creating quite the buzz at the Cannes Film Festival currently underway in the glam capitol of the world…the French Riviera. 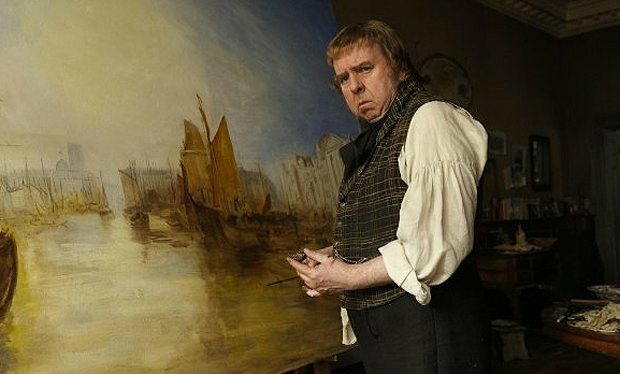 Mr. Turner, a bio-pic about eccentric British painter J.M.W Turner, stars Timothy Spall and already has critics calling it an ‘Oscar contender’…and it’s only May! The Oscar race has begun…and it’s only May! 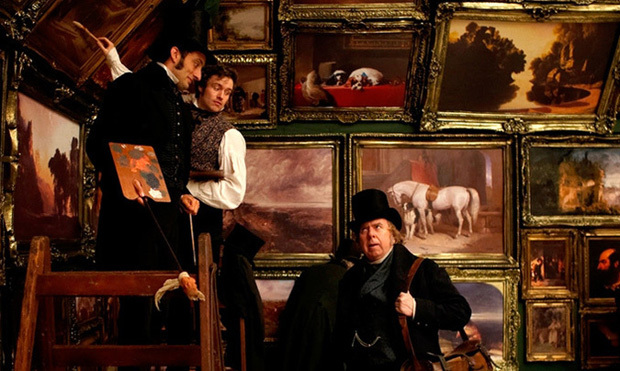 The Hollywood Reporter calls the film about one of Britain’s greatest artists “luminous and moving…anchored by a masterful performance by Timothy Spall in a role he was born to play!” Praise indeed! This movie has all the makings of an Anglophile’s dream: gorgeous cinematography of 19th Century English countryside, beautiful period costumes and a lovely Brit cast to star alongside Spall, Lesley Manville (Fleming, Cranford), Dorothy Atkinson (Call the Midwife), Martin Savage (Rush), and a slew of British cuties in white puffy shirts! I’m in! Cute British guys in white puffy shirts? Count me in! If the buzz around the sunny beaches of Cannes are correct, Mr. Turner can be on its way to the prestigious Palm d’Or award! Check out the official trailer and see if you agree! Hopefully Mr Turner will find a nice big distributor on the sunny beaches of Cannes (because, let’s face it…that’s where a majority of the wheelers and dealers make their deals!) and this beautiful film will be coming to a cinema near you in the not too distant future! 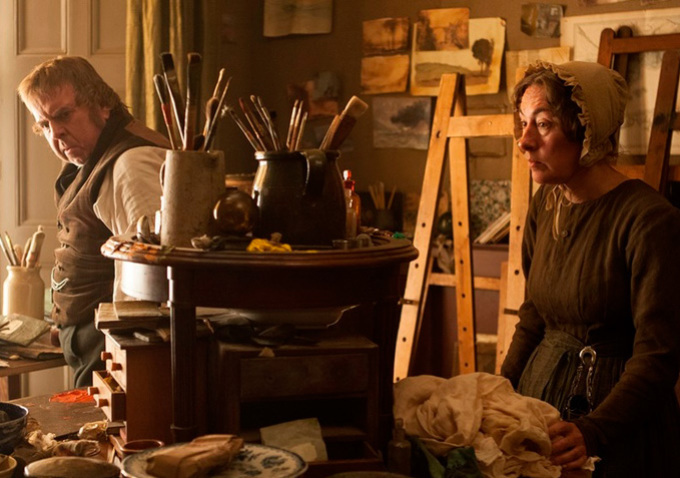 This entry was posted in Home Page Posts, Lady Anglophile Reviews & Other Bits and Bobs and tagged Cannes Film Festival, Mike Leigh, Mr. Turner, Timothy Spall. Bookmark the permalink.